The most beautiful stories are always the tales about you and me. Prima’s new “Tales of You & Me” collection is all about the wonderful stories of all the special people in your life. Floral patterns, vintage designs, and a sweet colour palette make this collection a must have! 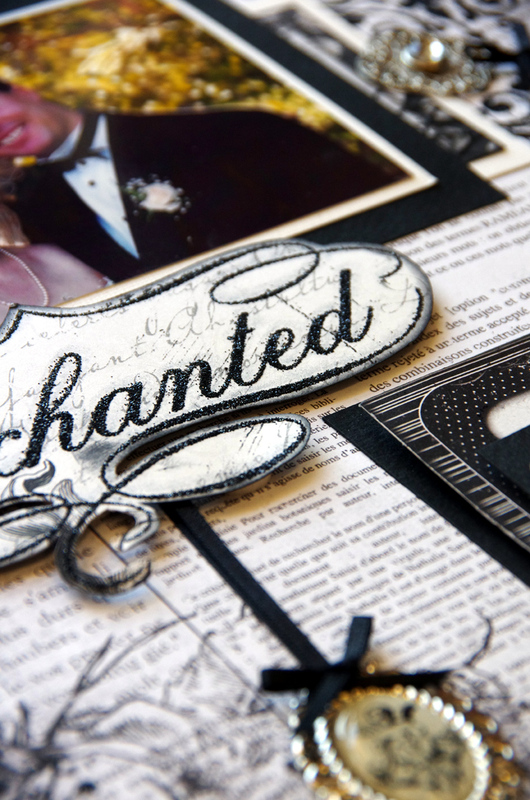 Once you see the fantastic embellishments you’ll find this line perfect for all those shabby-chic, romantic, and sweet projects you have lined up. 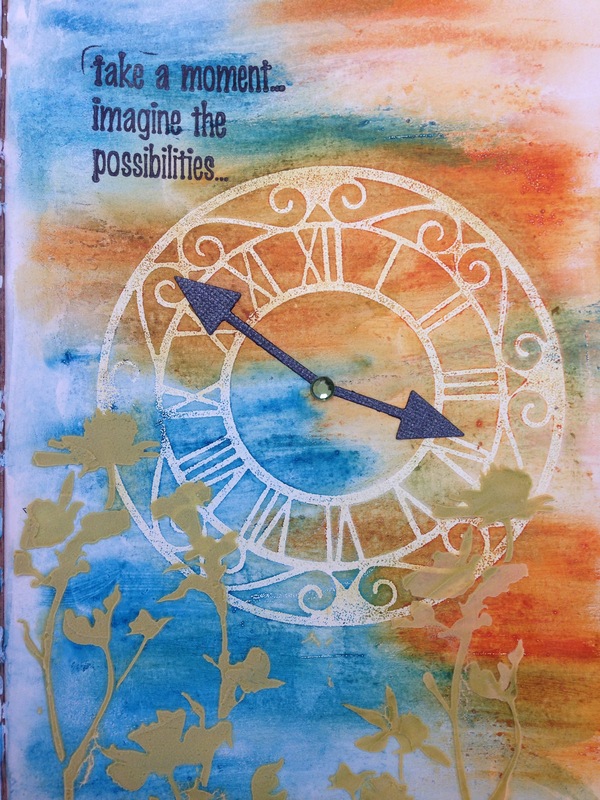 We are using this range in our first class for Term 2 with a beautiful page designed by Celeste. 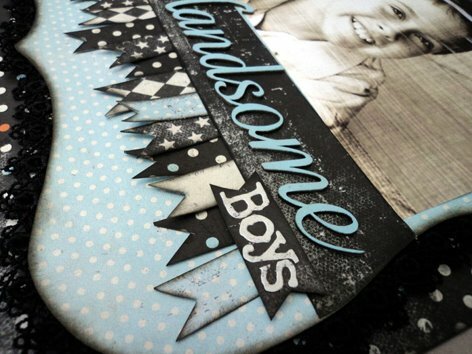 It has a beautiful chipboard frame from Dusty Attic which we will be heat embossing with white powder and features a stunning pleated paper design. Grab these beautiful products as soon as you can – they won’t last long! 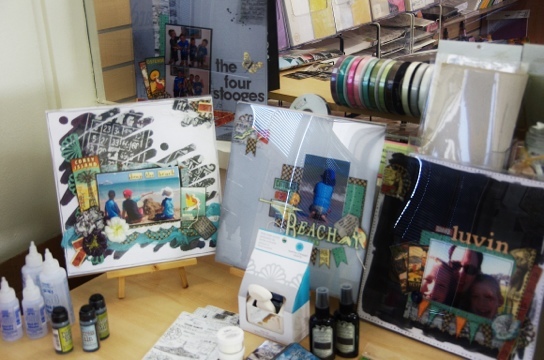 This Saturday night the shop and workroom will be open for late night scrapbooking, bring your own project and stay as long as you like. There’s a $5 fee, and a seat and table space will be all yours! 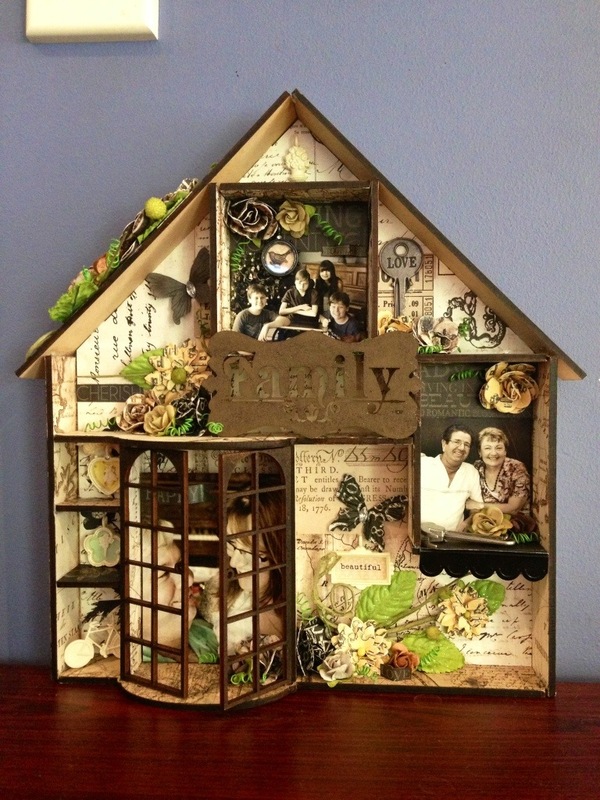 We also have a Scrapbook Page class on tonight, where we will be creating this lovely page designed by Sharon. 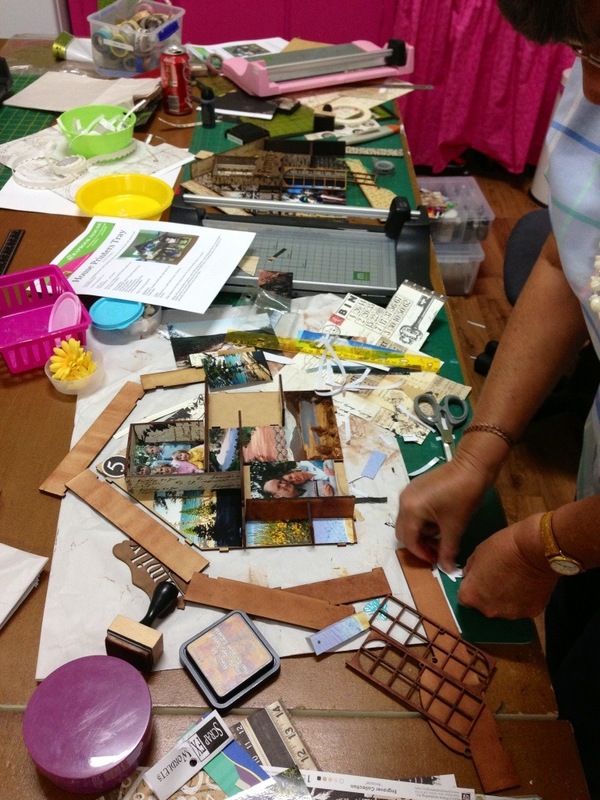 We have plenty of places and kits if you would like to join us from 6:30, please ring to book. Kits are available as takeaway if you can’t make it in store. Out with the markers and aquash brushes today to paint up these cards designed by Sharon. It was challenging as we had to try out different techniques with brushes, markers, crackle medium and pearl paints. Topping this off with the new white distress marker made this something really new for our ladies. It was a little daunting to think we had to “paint” colour onto our flowers, but we were all so very impressed at just how lovely each one turned out. One lady in class commented during a section that we were all finding tricky, “This is difficult”. Another replied ” I guess if we all knew how to do this we wouldn’t be here”. So wonderful and positive, I just love all my wonderful customers. Thanks for a great morning. These look so different don’t they? 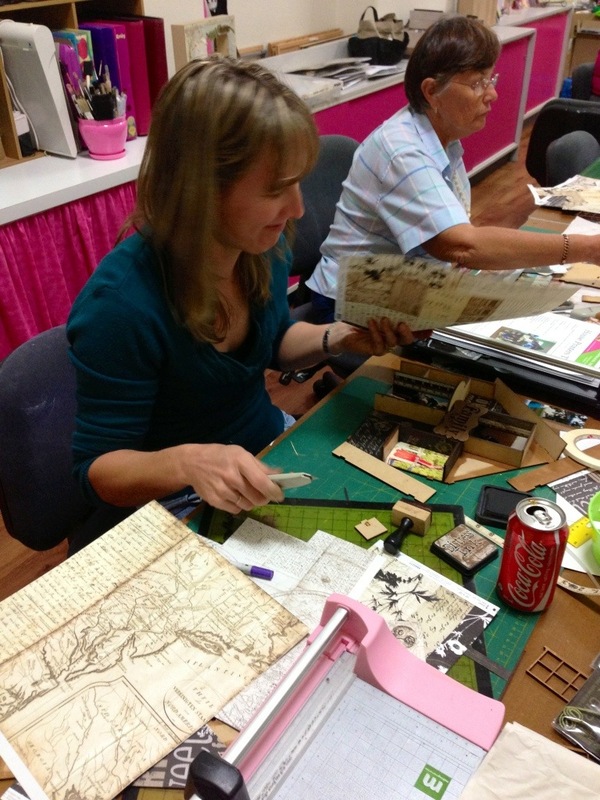 In Michelle’s Art Journal class on Friday 20th February you’ll see that everyone’s work will be unique, all using the same techniques. 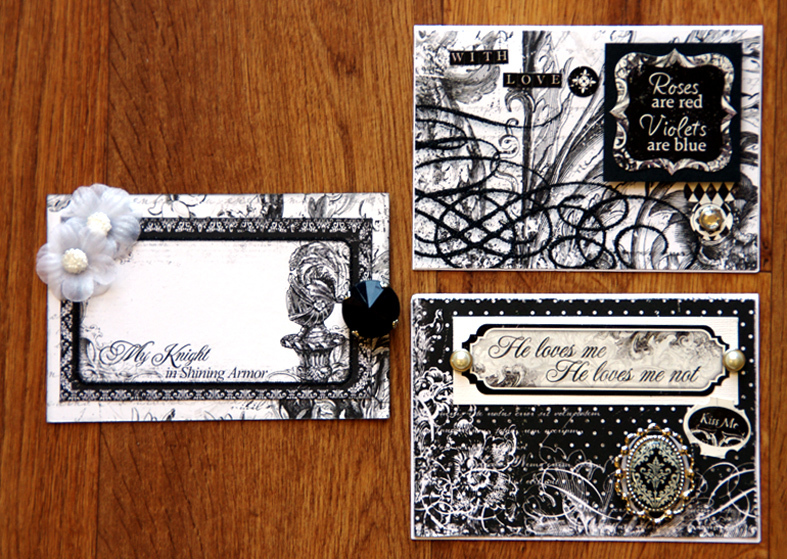 Different colours, stamps and stencils will make it individual. I’m looking forward to seeing all those finished pages! See our timetable (link above on the webpage current timetable) and ring us to book. Nat’s most recent class kit was jammed with gorgeous products, all chosen by Nat herself from the superb range Prima releases. 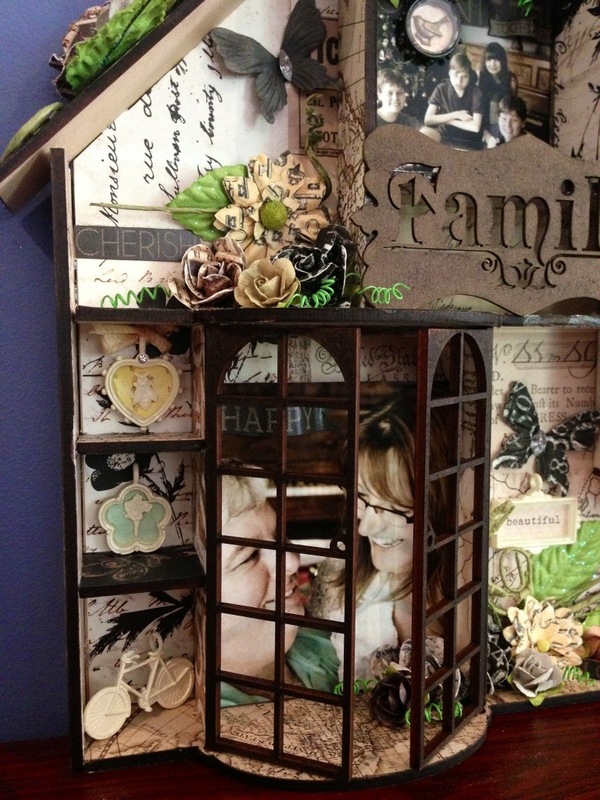 Her class is lovely, using bits if everything and there is so much left over, that there are bonus layouts using more of the products all with Nat’s beautiful style. 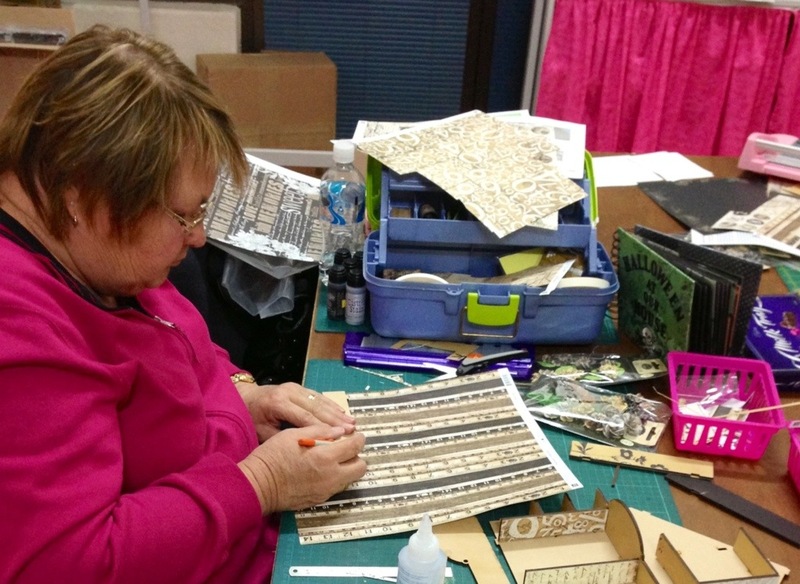 Gee there are a lot of products in this kit – two classes in one! 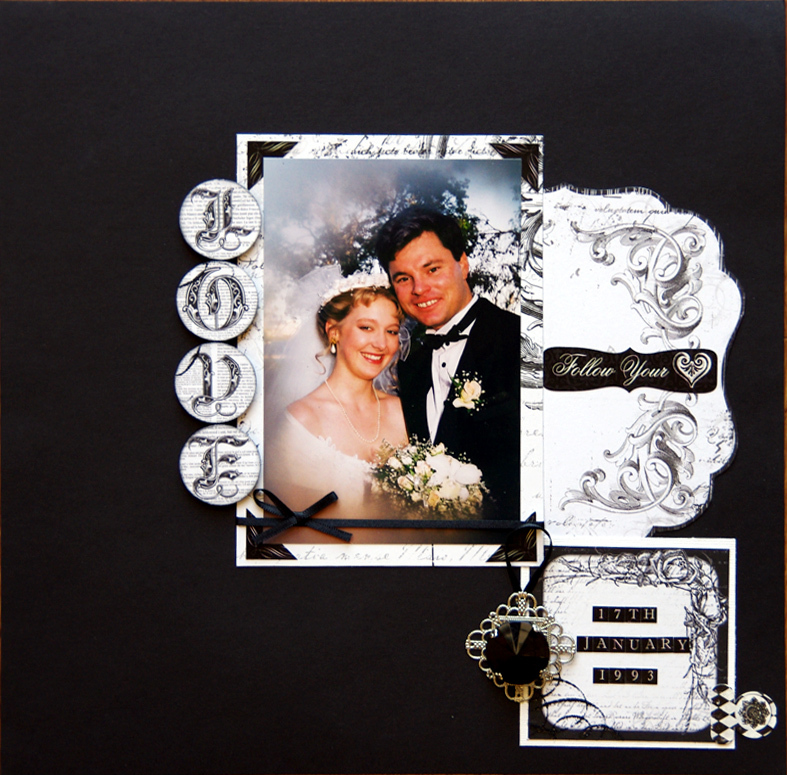 Note – because not everyone has the crackle template and texture paste for the first step, I have used my template and done this step for you – I know I got the fun of it, but really didn’t want anyone to miss out on the overall look of this layout, the texture is lovely! Tonight’s class was small, just the four of us, so relaxing and easy that I decided to complete the page along side with the girls. We used Teresa Collins “Far & Away”, I love the banners the most! 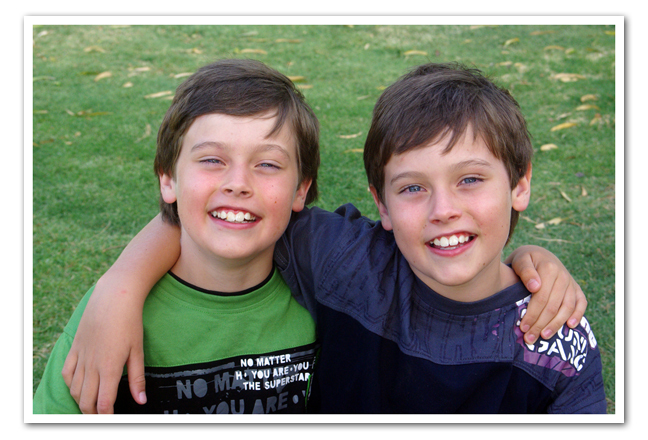 An easy night with some fun chatter and some laughs – and a bonus was that I ended up with a few of my “phone” photos of my nephews scrapped! 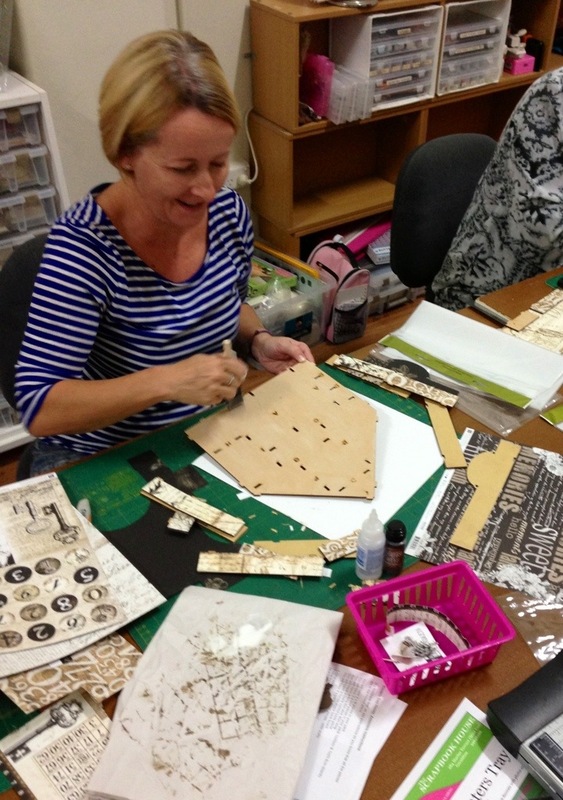 This was our amazing and fun whirlwind weekend away to do the class with Finnabair at Scrapbook Secrets in Perth, which turned into a bit of brotherly love as my two brothers were both in the city too. Loved this weekend – good things. 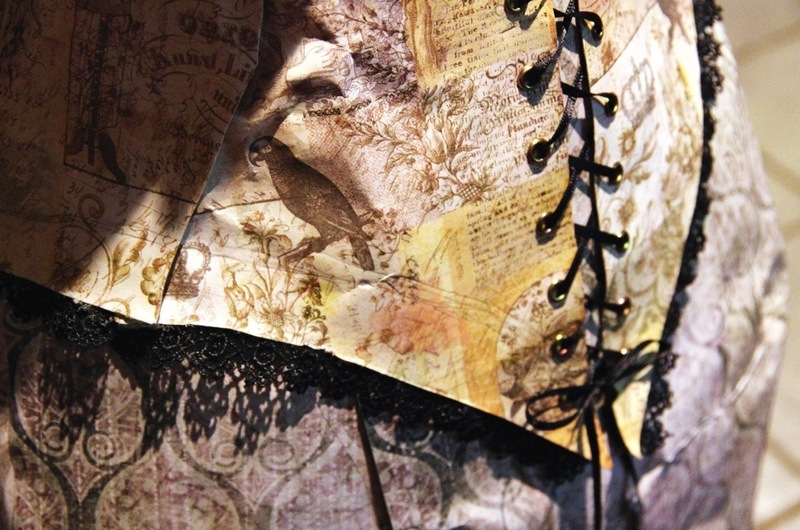 The wire bodice has a new dress, made by the very talented Emily, and it’s gorgeous! Here’s a sneak peek of the front section. 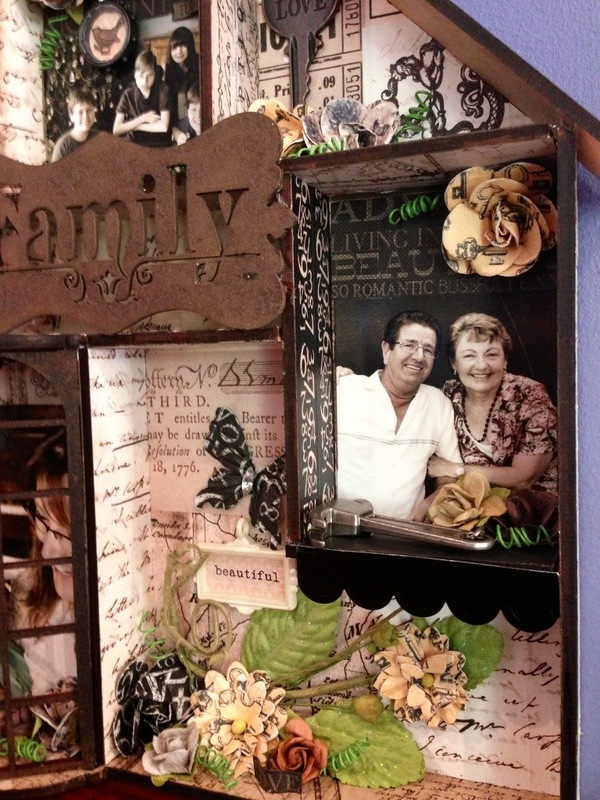 Amazing what can be created with the products in our store. 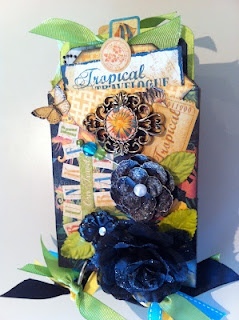 Prima paper, lace, ribbon and a few eyelets. The dress is part of our decorations for this weekend, and I will be sure to photograph it in better light and post for you to see… It’s longer than the first version, remember what I used to look like, click here to see. It will be in store again on display next Monday. I would like to introduce you to Celeste, who joined our Design Team earlier this year. Please say hi. Hi my name is Celeste Glover and I have been scrapping for the last seven or so years. 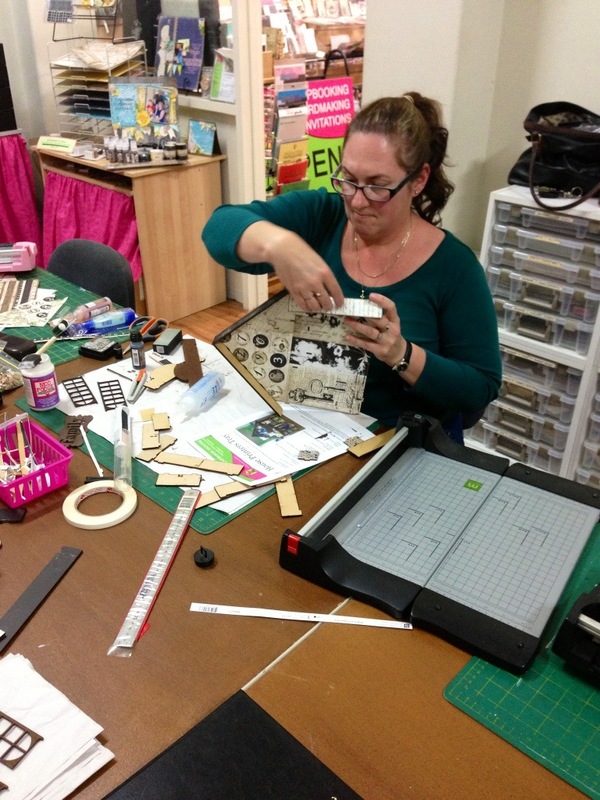 Previously I was addicted to cross stitch, sewing and photography, until I went to a class one night and got hooked on scrapbooking. I live with my husband Alan and four great kids, Chloe 17, Alexander 14, and my twins Cameron and Amberly 12. I find inspiration from absolutely everything and can’t wait to share it all with you. Celeste worked with the Bo Bunny Enchanted Range last Term and designed these for us. Her first class was well received, and many ladies scrapped beautiful memories of their Wedding Day or School Ball. 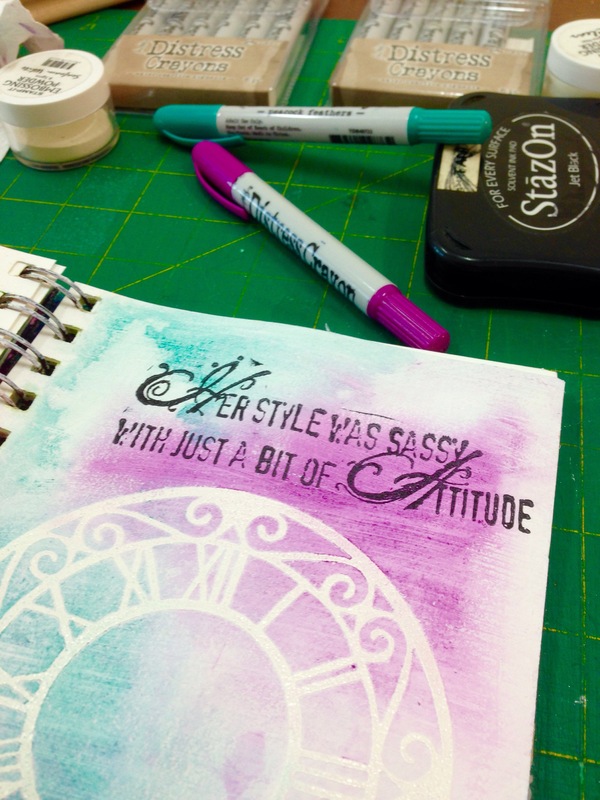 So many compliments came back from the ladies who did this and the whole paper range sold out on the day of class. We have been lucky enough to have this project on our front counter for the past few weeks, made with the Graphic 45 TropicaI Travelogue collection, is is full of goodness! I love these colours, the blue is so bright and fun! 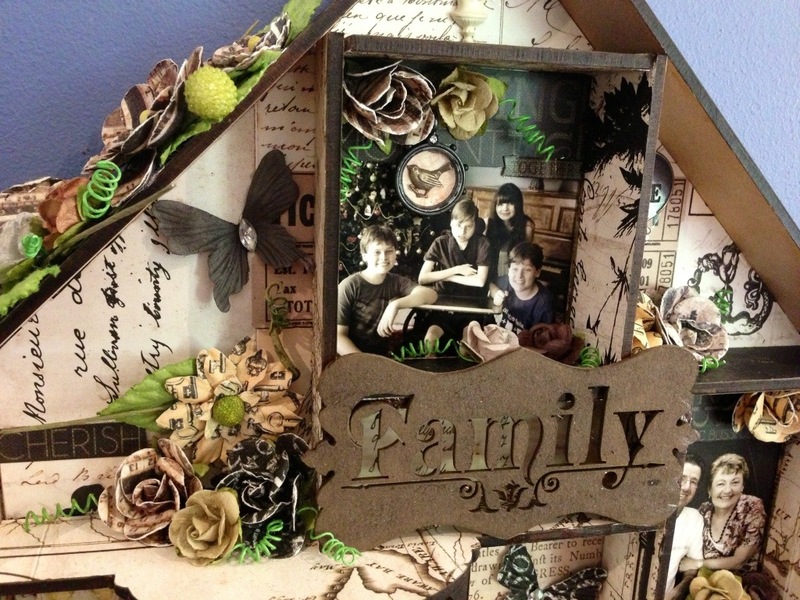 Of course this is available at The Scrapbook House. If you missed seeing it on our counter in real life, you can see every page here on Celeste’s blog where she had photographed every page. 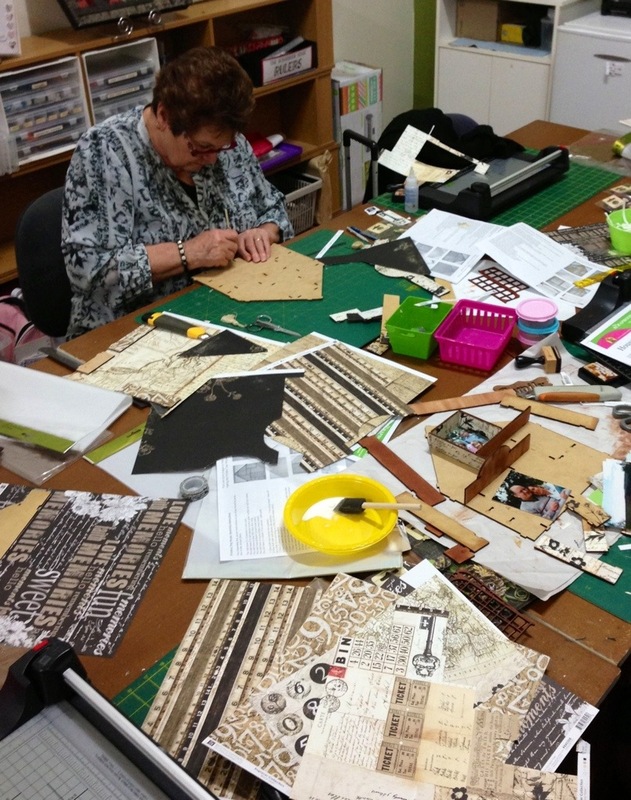 Did you know this mini album was made from paper bags? 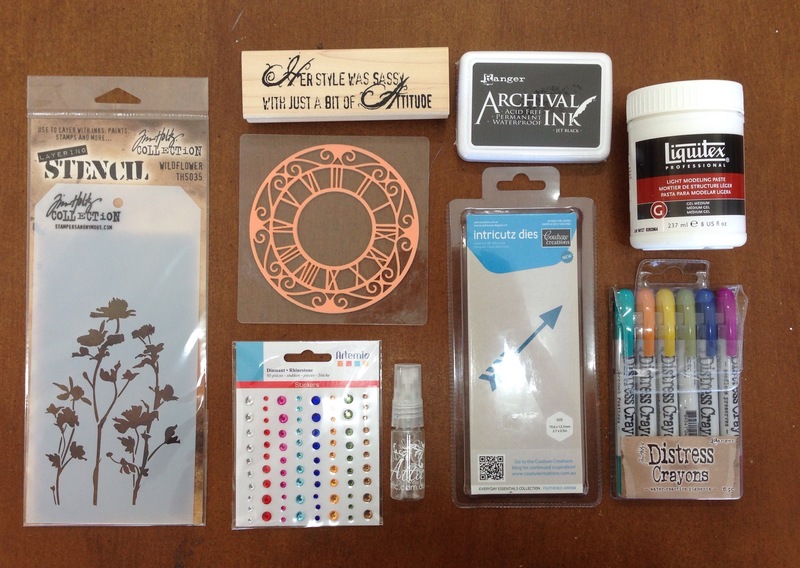 Want a sweet little project to put together? 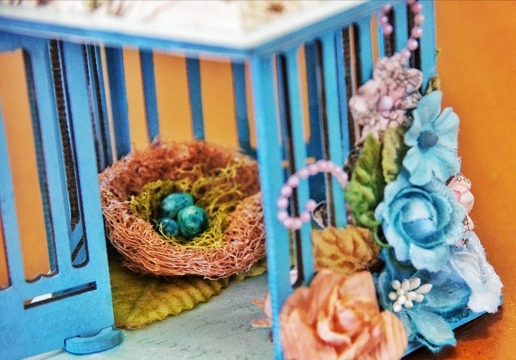 Try one of the chipboard birdcages, like this one by Kira. She has chosen a whimsical blue to paint her Twiddleybitz project and added some gorgeous Prima flowers and pearls. 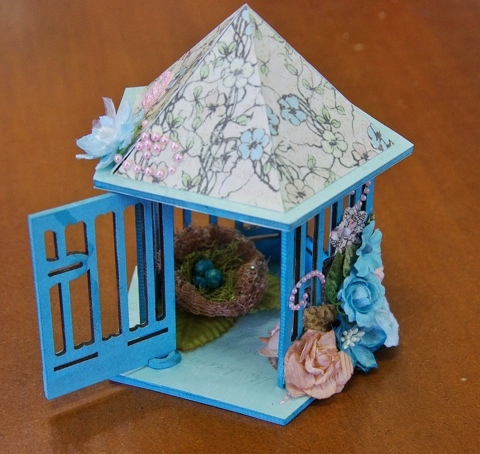 The roof has one of the sweet papers also by Prima. I love how carefully Kira has painted this, leaving the insides of the railings in the natural chip colour, it gives it better depth, and hidden inside is the sweetest little nest with robin eggs. I have a few sets of these, and was keen to out them on a page, but seeing them in this cage, it’s like they were made for it! The new Bo Bunny Double Dot paper line has been displayed in a different way in our store today as Emily’s paper dress idea was completed on the gorgeous wire bodice given to me as a Christmas gift by Sharon. Thanks Sharon! And here is a closer image. There is also another sheet of paper where we have cut the words out, we love the quote from the book “The Help” You is kind. You is Smart. You is Important. 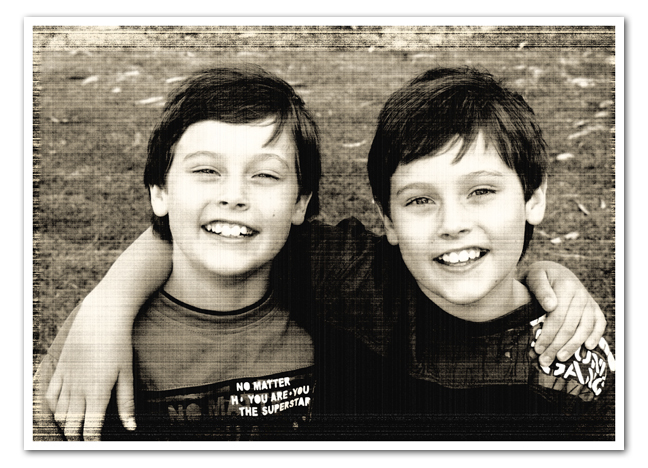 It seemed only perfect to add this and the other words and banners cut from the paper too…. now I can’t think of the name of that paper now, but it’ll come to me.We have also used the Martha Stewart Border punch and the butterfly punch. Cute huh? 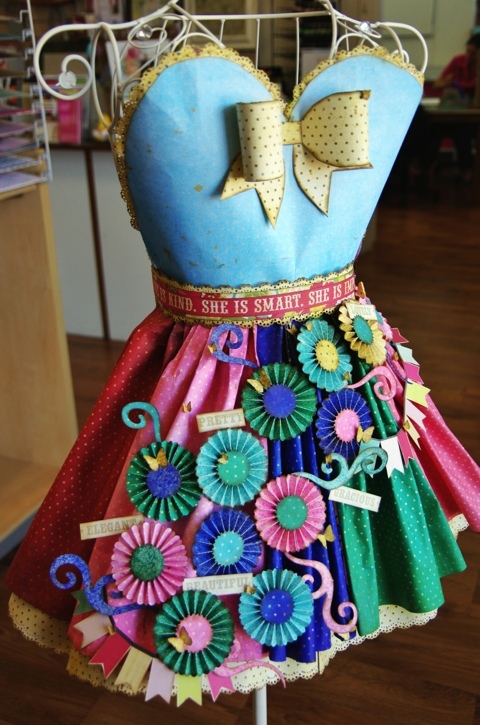 We have used plenty of hot glue and the paper ribbon bow is one that Emily drew for her last kids class. It’s very simple, and she has a template at the store, just ask when you are in next if you’d like to trace it off to make your own. Thanks for looking, I hope you like! 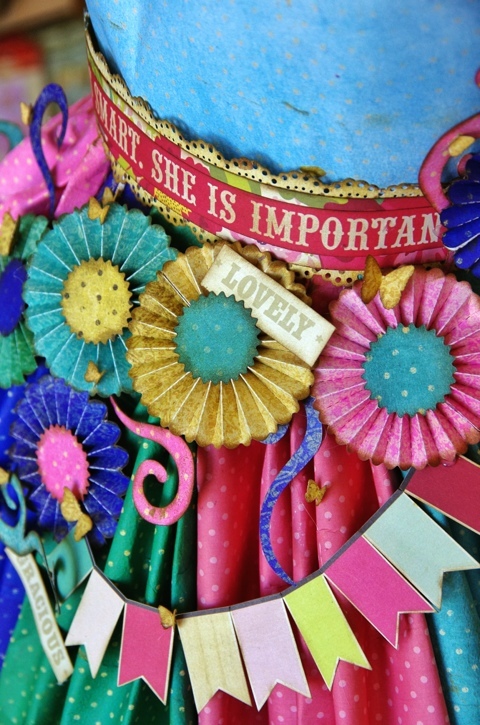 Nothing like new things to inspire you and the new ranges have been inspiring Natalie aplenty! 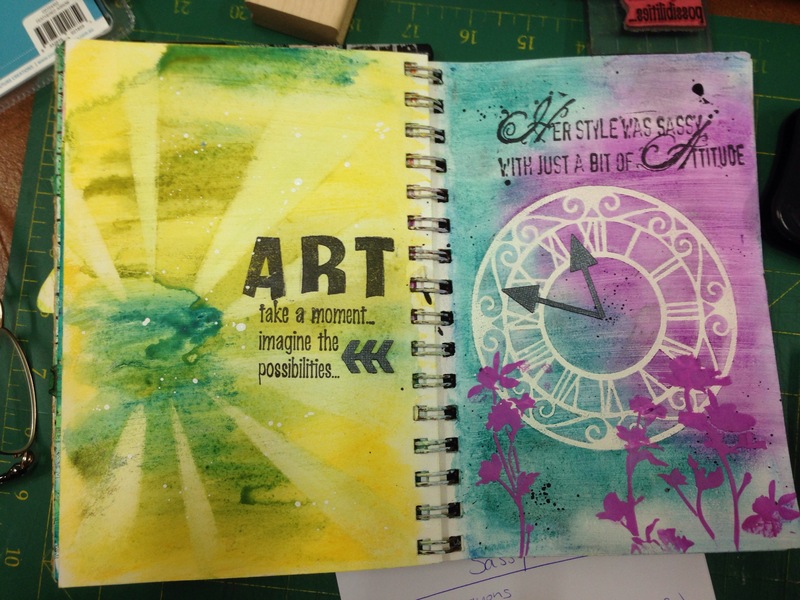 Here is a page she worked on today using the new Sunkiss Range. I love the layers, even the bottom layer has texture past that has been embossed and glimmered. 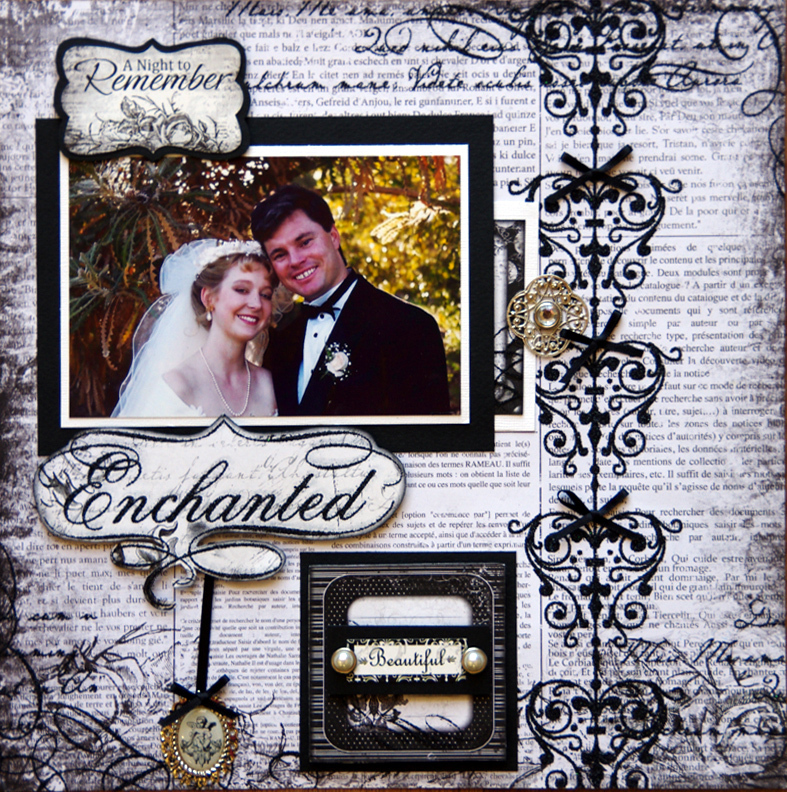 Nat has used the new papers, journal cards (cleverly used as frames for her gorgeous photos), alphabet stickers, as well as the famous Prima flowers. 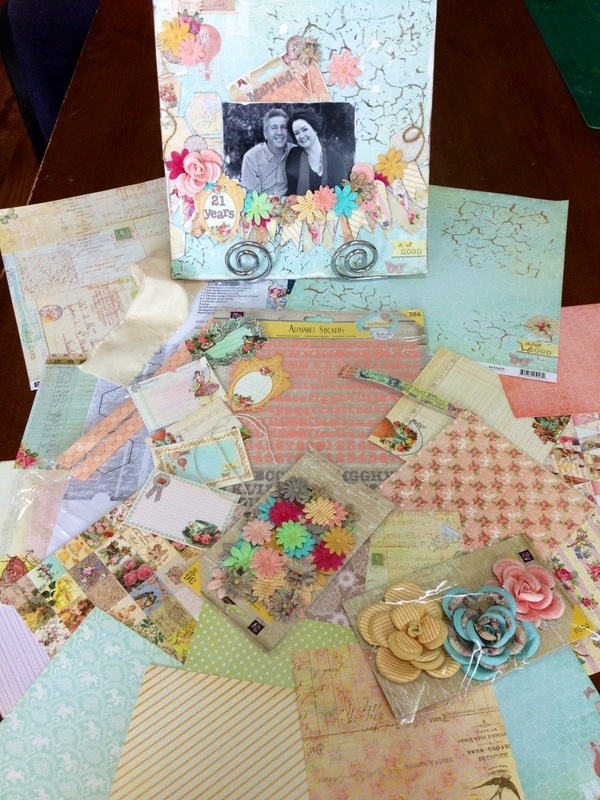 The Prima “SONGBIRD” collection of papers is soft and pretty. Here she has used delicious Prima flowers, Twiddlychip, tea-dyed muslin and Prima embellishments, that little bird on a branch is cut from one of the papers. I can also see a few Collections butterflies hidden in there too. Always fun looking at Natalies’ work, the more you look, the more you see.